It was one of those check ups as a parent you will never forget. Everything was going smoothly. 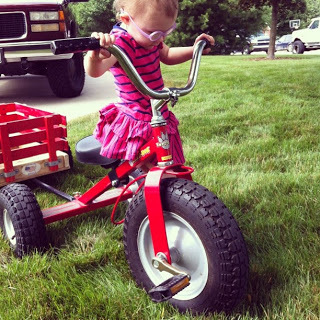 She was right where she should be at for motor skills and growth even though she is small. Then I was questioned if I ever noticed anything odd with her right eye by her pediatrician. Of course my response was no. Honestly I have never noticed anything out of the ordinary with her eyes let alone anyone els. Her pediatrician then explained to me what she was seeing with her eyes and described it the best way to me as a parent. You know the medical terms can be difficult to understand sometimes when your not a Doctor. 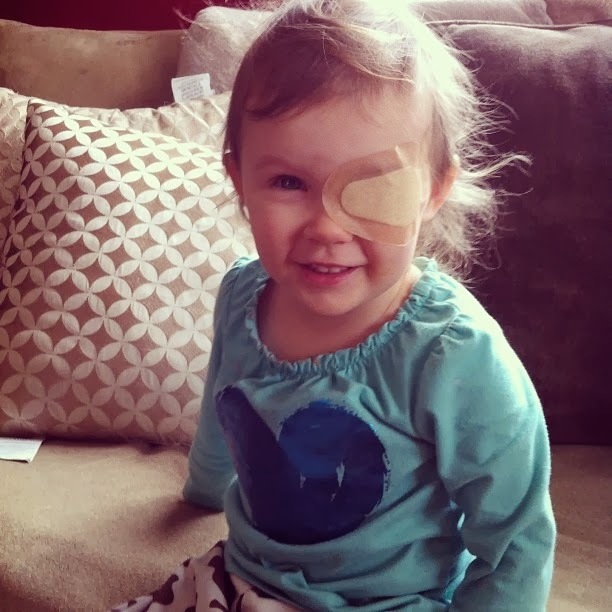 A couple weeks later we had her first appointment with the pediatric ophthalmologist. We were told there is definite Esotropia in her right eye. Is simple terms Esotropia is when one eye goes cross-eyed while the other eye is still focusing strait. Once it was brought to our attention and we explained it to our family members it was definitely noticeable. I started to feel ashamed as a parent that I couldn’t notice her eye before it was brought to my attention. After her first appointment we ordered her glasses. 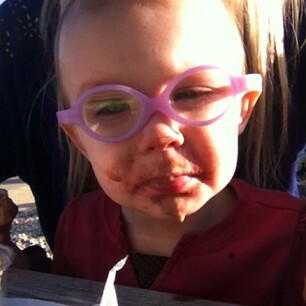 The only time I saw glasses for babies was honestly on Teen mom. Yes I use to watch that show. For the first couple months Helen had to wear just her glasses 24/7 except when she was sleeping of course. It was an easy start from there. She loved wearing them. She soon learned how to put them on herself. She knew when the lens would get dirty and let us clean them. We were all surprised how well she was doing wanting to wear her glasses and I thought to myself it was going to be a breeze. Little did I know what I was about to endure. The next check-up soon approached. There was a little improvement. Pretty much any improvement is good news. But not enough, therefore that’s when she had to start wearing her eye patch. She has to wear her patch for 2 hours everyday. My first thought was, she is not going to wear these. Sure enough I was correct. She cried and when it was time to remove the patch, I felt horrible. It is almost like taking a bandaid off. let alone trying to get her to let us put the patch on her eye. Two months later another eye check-up approached again. Just like her last there were some improvement but not enough. We were told to continue what we are doing. At her next eye check-up we will discuss with the other eye Doctors what direction we need to take. Surgery to correct it or continue what we are doing for another 2 months. That is not the kind of news you want to hear as a parent. The word surgery for any of my daughters makes me very nervous. Time will only tell. The struggles are a daily basis. Trying to keep them on her let alone even getting her to wear them on certain days. Going out in public was a learning curve. People stare, but I don’t blame them. As I mentioned previous you don’t see babies or young toddlers with glasses often. It was just awkward and still can be. I get questioned often if they are real glasses. Of course they are. Why would I make my kid wear fake glasses? 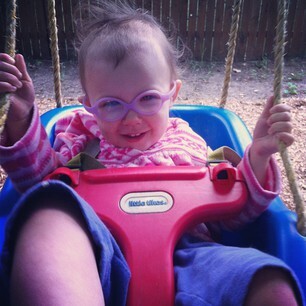 There is not a day that goes by without me thinking about her glasses or the possibility of surgery. It scares me, makes me nervous as a parent. But from here all we can do is our best and pray that God is on our side and will help guide us through this journey. We are thankful for Helen’s big Sissy’s, family and friends who are our amazing supporters and rock through out this sometimes difficult journey. And of course our almighty God.